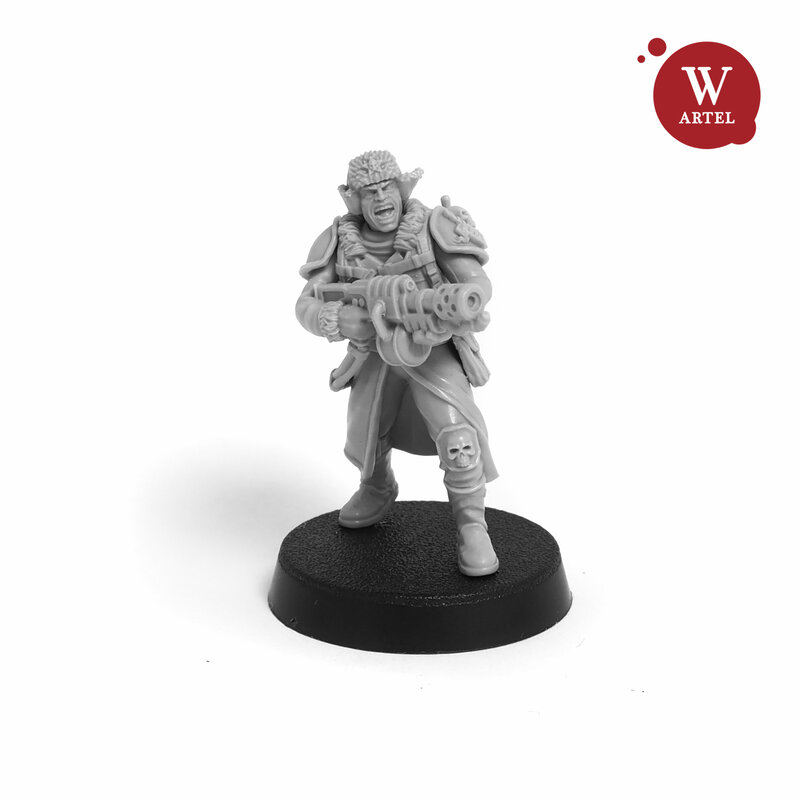 Artel „W“ Miniaturea haben ihrem Shop die Einherjar`s Kamrades Tactical Squad hinzugefügt. 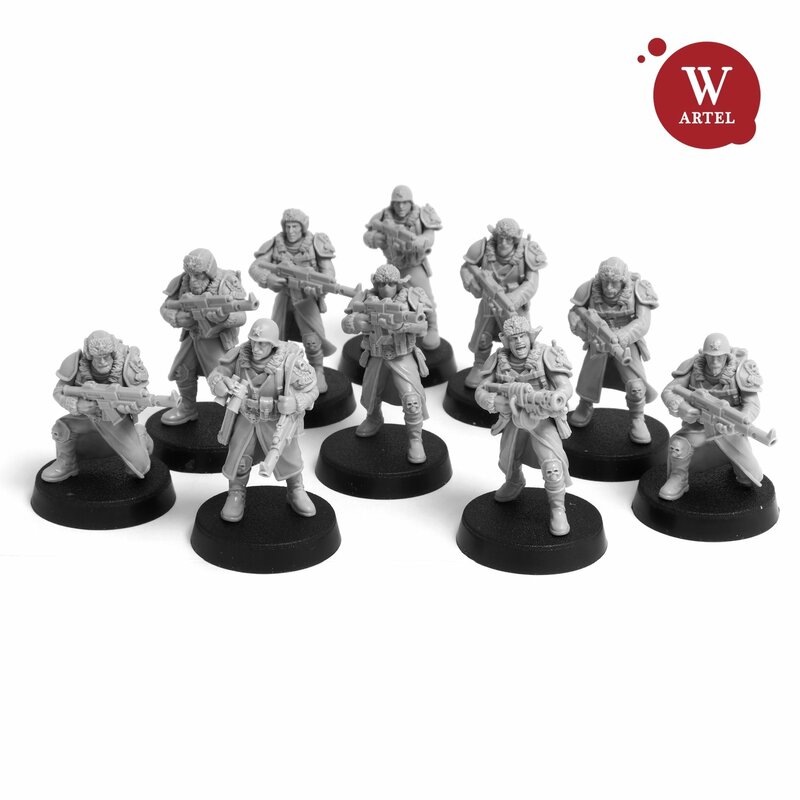 From the Ice world of Einherjar comes the tough warriors, true Winter Soldiers, unbreakable protectors of Mankind. 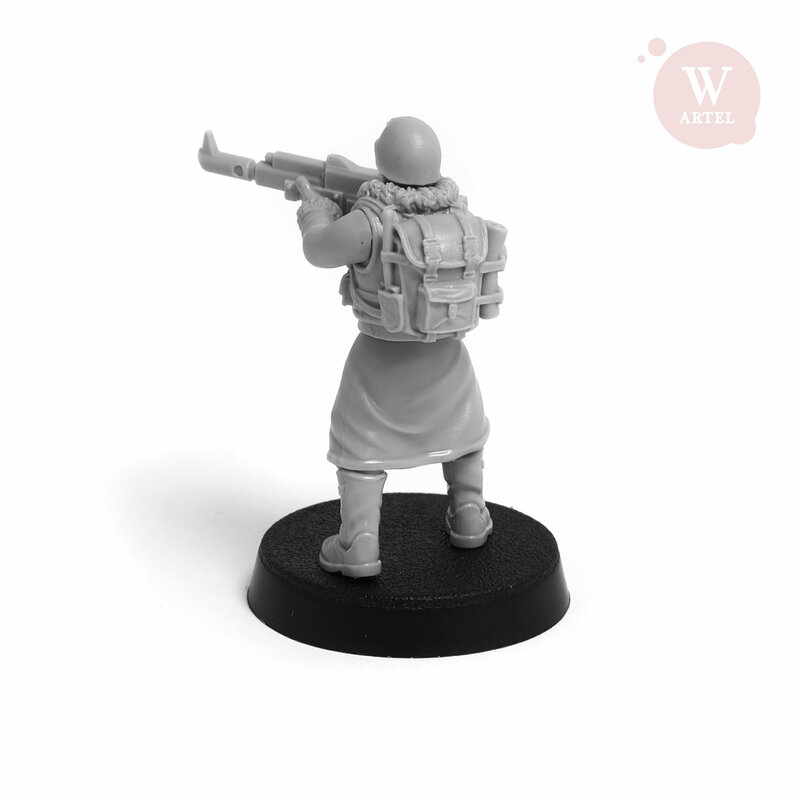 The most renowned of Einherjar`s Kamrades – is DXCVII regiment. Imporant note: shipments starts from 2nd of September 2018! 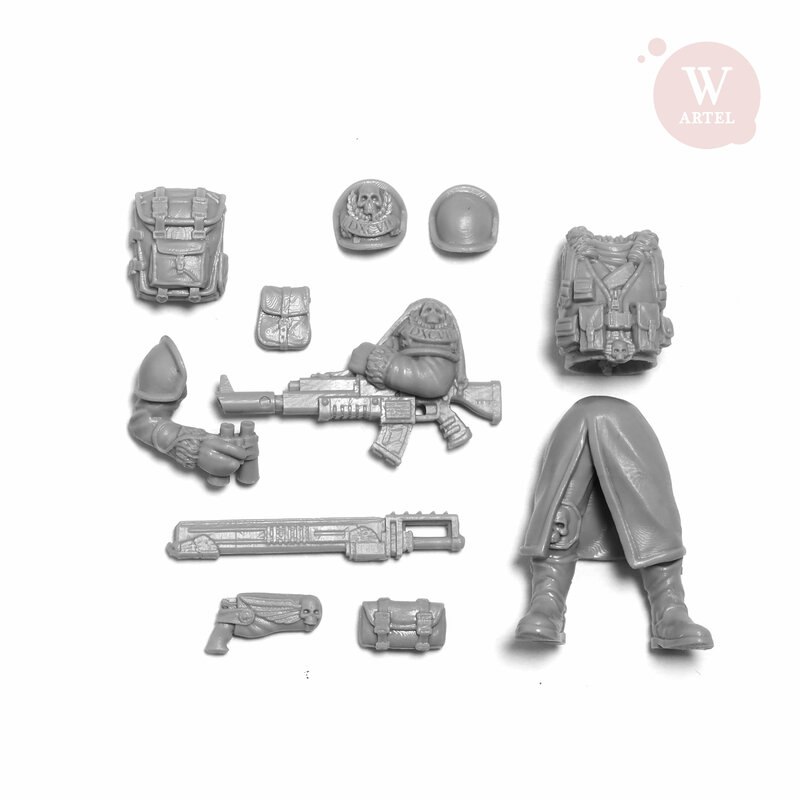 The multipart kit for wargames, roleplaying tabletops and collecting. 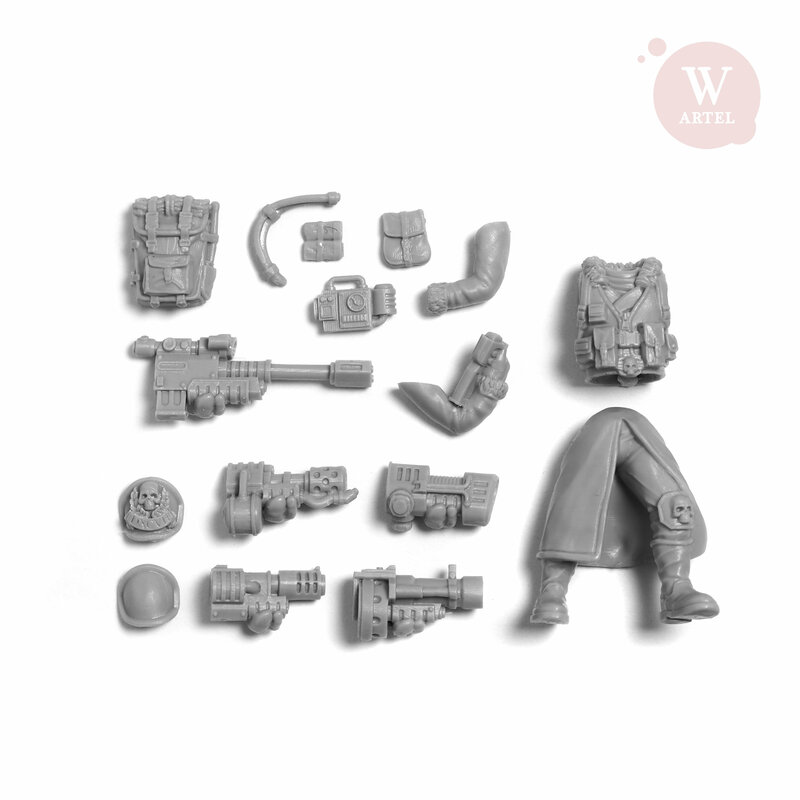 Kit contains parts for ten miniatures including one specialist and one sergeant, with 5 weapon`s options for the specialist. 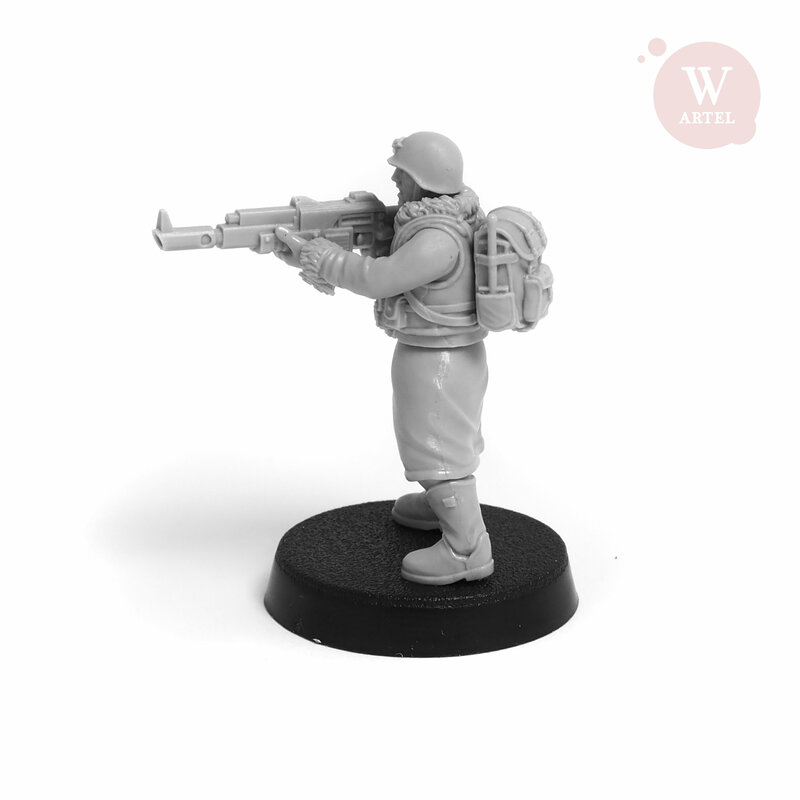 All arms, heads and torsos are fully interchangeable and compatible with kits for popular wargames systems. 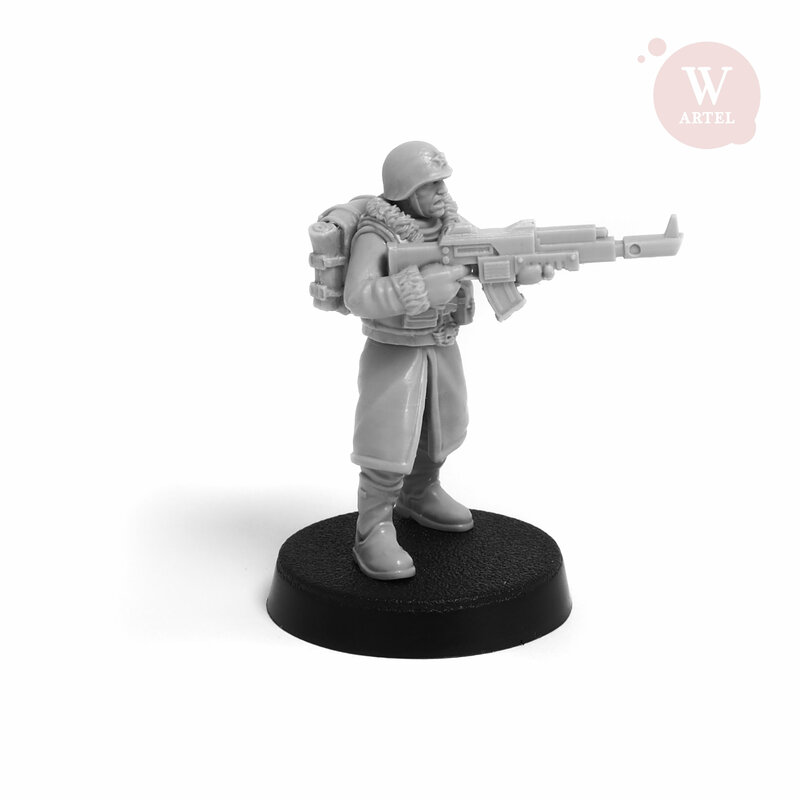 Average size: 30-31mm to the eyes, 33-34mm total. 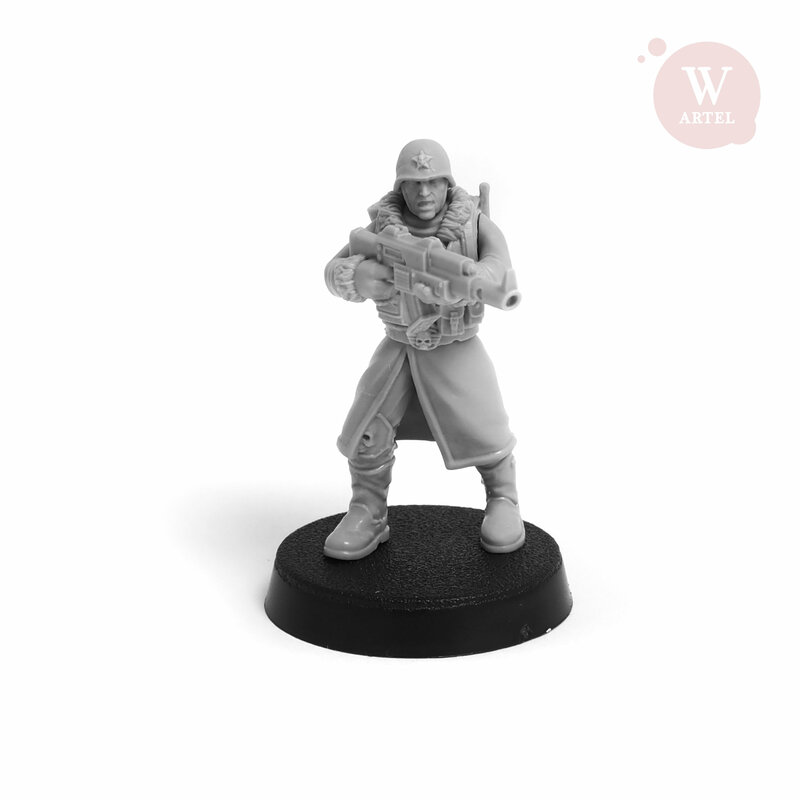 Die sehen schon ziemlich nice aus, aber haben einen 28mm Maßstab und sind 33-34mm groß? 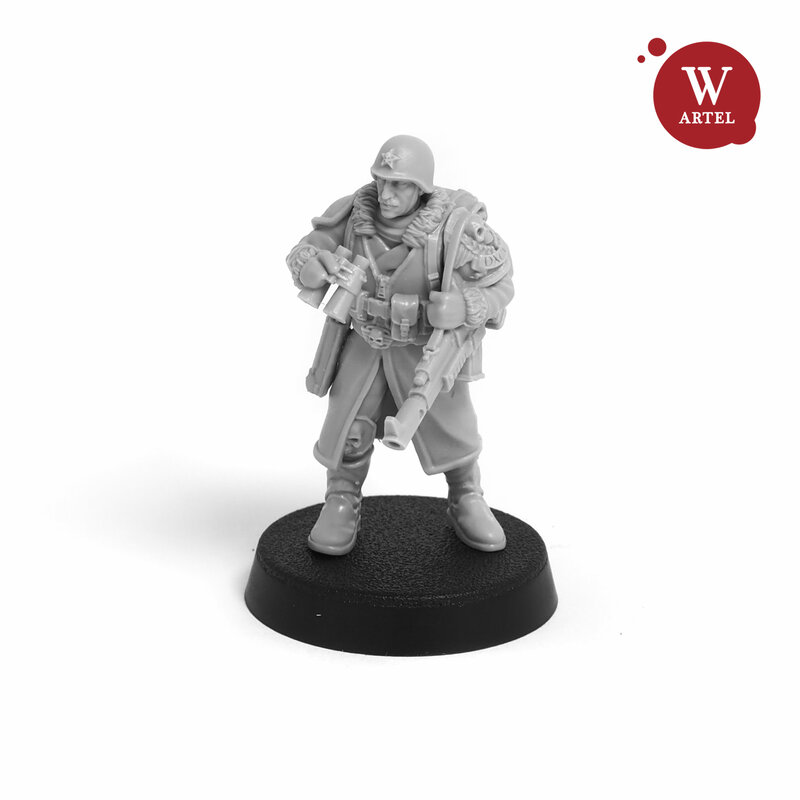 Ja das ist normal, denn echte 28mm Figuren gibt es eigentlich nur ganz wenige und die sehen alle komisch aus. 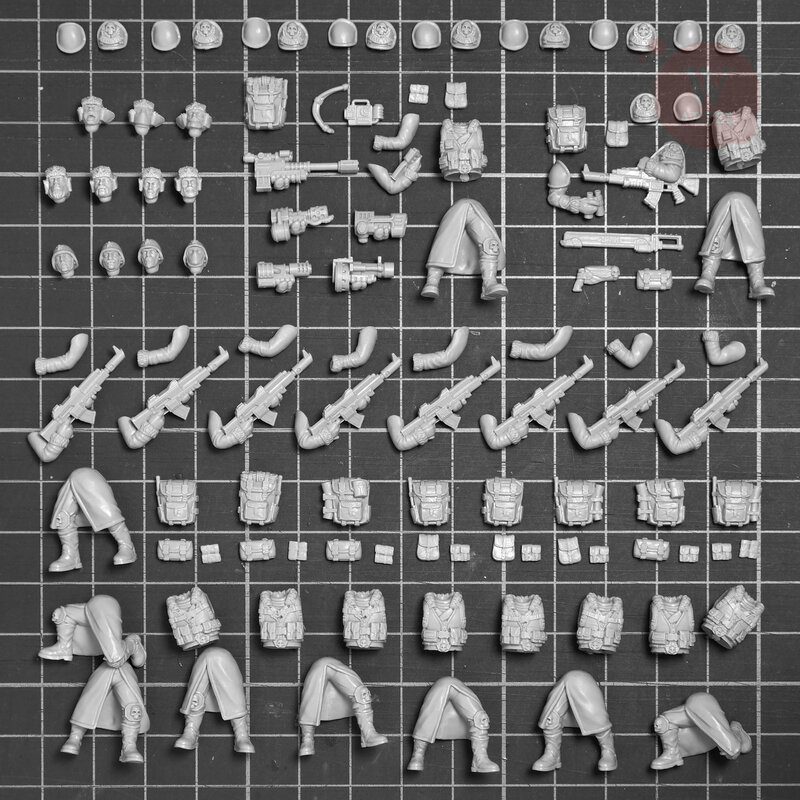 Trotzdem ist 28mm Scale das als was GW ihre Figuren bewerben und alle die in GWs Fahrwasser ein paar Reste abgekommen wollen bewerben ihre Figuren entsprechend.